You can help us spread the word about helping Puerto Rico. Usted puede encontrar la versión en Español aquí. Less than two weeks after Hurricane Irma made landfall on the island, Puerto Rico was hit by Hurricane Maria, the worst natural disaster the island has seen in nearly a century. Sixteen people have died as a result of the storm, according to the Associated Press, a number local officials expect to rise. The island has virtually no running water or electricity; around 80 percent of the island’s crops have been destroyed. Scores of Puerto Ricans are gathering around what’s left of the island’s cell towers, desperate for contact with loved ones. 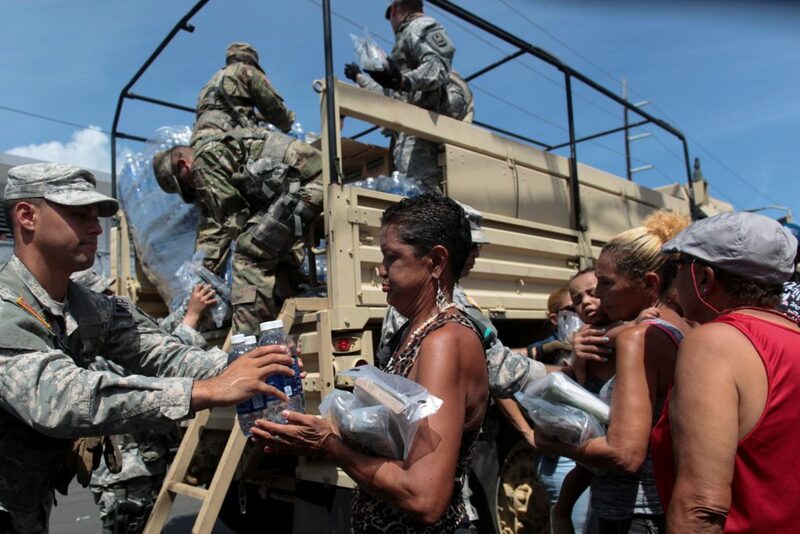 READ MORE: Puerto Rico has asked for more aid in the wake of Hurricane Maria. Will the U.S. provide it?